Stories of ghosts and experiences of the paranormal have been a historical constant for as long as humans have wondered what happens after death. But as the entertainment industry has become increasingly desperate for our always divided attention, these stories have been hybridized with reality TV and promoted on channels not traditionally associated with the category of the paranormal. The Travel, History, and National Geographic channels are the prime examples. In ghost hunting shows, for ... See More instance, teams travel around the world to places thought to be haunted, using various pieces of technology to test for the presence of paranormal activity. And they seem to find much to go on. From flickering lights, to temperature changes, to unexplained moving objects, these teams give producers and then viewers a great deal of excitement. But how should Christians respond? Our worldview supports the existence of the supernatural, and we also acknowledge the presence of evil. Not all of the supernatural realm is good, but in addition, not all is evil. It is therefore wise to test the spirits to see if they are of God, as we are instructed in 1 John 4:1. Moreover, perhaps understanding someones interest in paranormal activity could serve as a gateway into a conversation about other seemingly unexplained phenomena, such as angels, demons, and ultimately the nature of God. 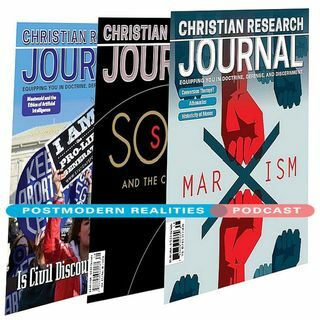 This Postmodern Realities podcast episode is a conversation with JOURNAL author Sara Geis about her Volume 41 5 feature article Ghost Hunters and God Finding Reason in the Pursuit of the Paranormal.